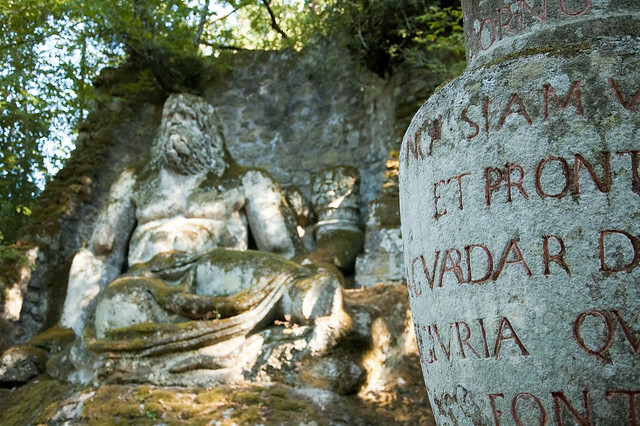 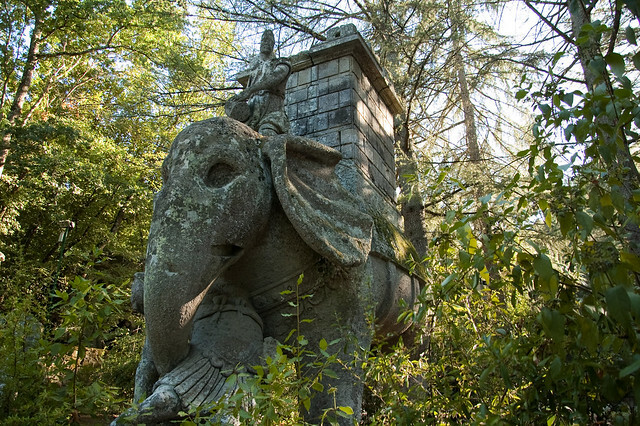 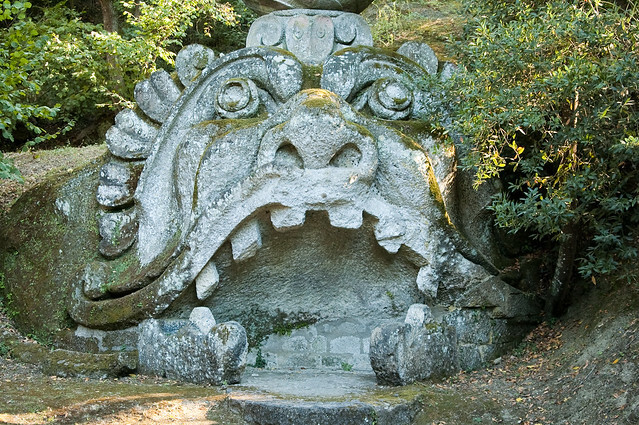 The Park of the Monsters (or Garden of Bomarzo), created in the 16th century, is an arcane monumental complex located in Bomarzo, Viterbo, in northern Lazio, Italy. 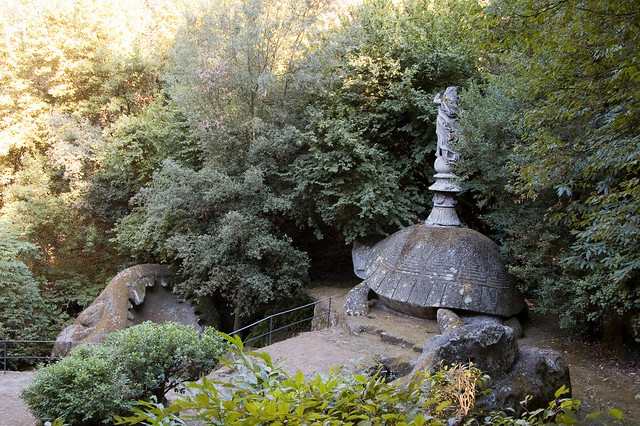 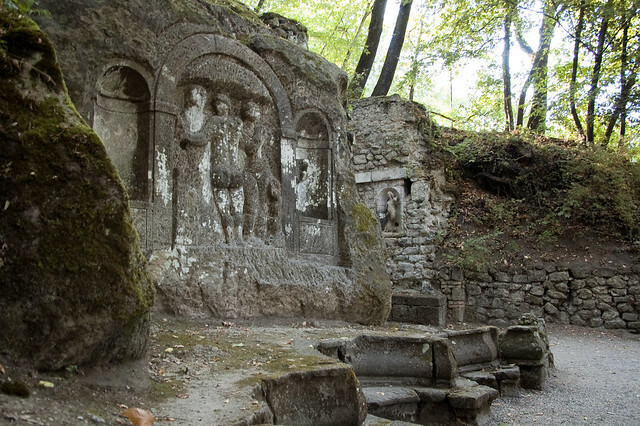 The gardens are composed of a wooded park, near the castle of Orsiny family and esoteric sculptures and small buildings, partially hidden by the natural vegetation. 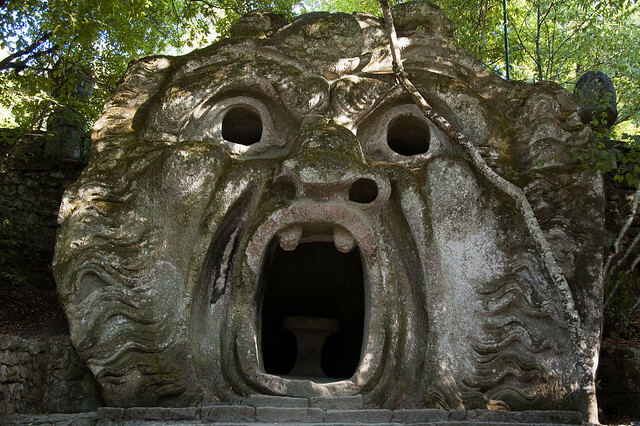 It was created by the condottiero Pier Francesco Orsini, called Vicino (1523-1585). 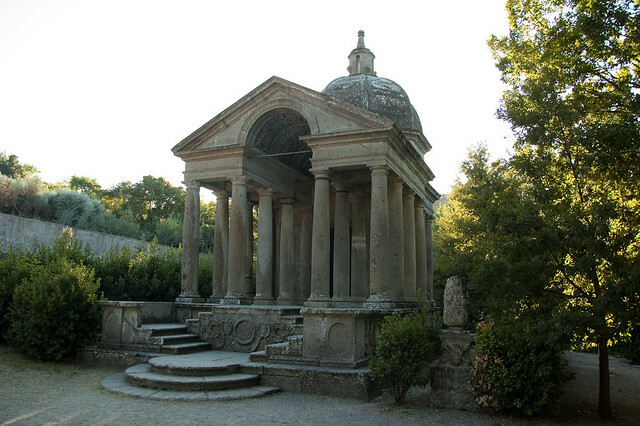 The garden was built after the death of the beloved wife, Giulia Farnese. 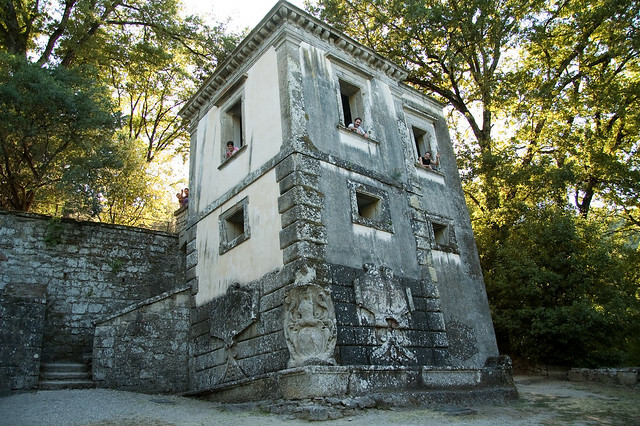 The architecture was designed by Pirro Ligorio and the sculptures by Simone Moschino. 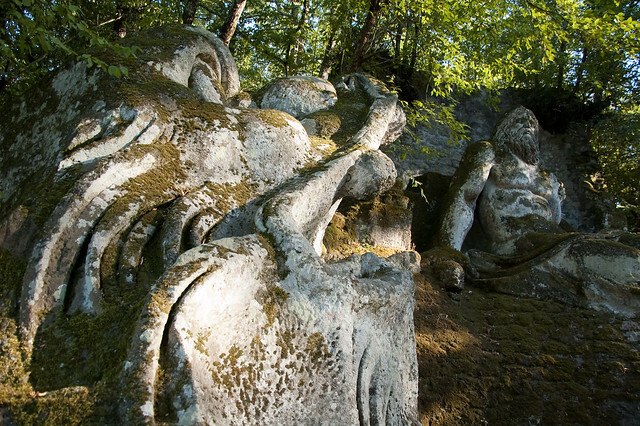 Previous articleRoad to L. – Was HP Lovecraft inspired by the Racconti del Filó?